If you are wondering about the legal side of buying property in Spain or what the costs will be at the time of purchase, then look no further. 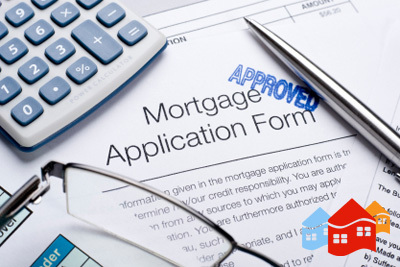 Here you can find information about the legalities, fees and taxes, and the mortgage process. We've also prepared two purchase examples showing the total costs including fees and taxes. Once you have found the Spanish property of your dreams, we will be pleased to introduce you to a local lawyer who can ensure that all legal matters regarding your property purchase in Spain will be effectively managed. The lawyer will persue legal searches on the property for any outstanding debts, tax arrears and unpaid bills. There are now several English-speaking lawyers in the area, all of whom have vast experience in local Spanish property law. A 10% holding deposit is required upon signing of the Purchase Contract (compra-venta). 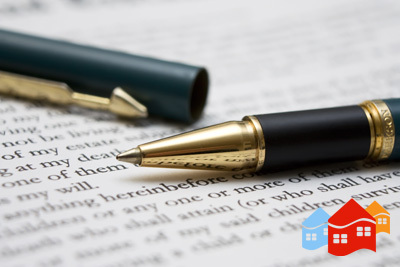 This Contract is usually valid for 90 days, by which time the Title Deeds (Escritura) should be signed over and the outstanding payment made. When buying a property in Spain the following costs are involved. As a guide line you should add up to 10% to the purchase price of the property to cover this. This is usually about 1000 Euros, depending on the amount of work involved. A transfer tax of 8% is applied to re-sale properties in Spain. For newly built Spanish properties, IVA (= VAT) is charged at 8% of the contract price. Notary fees are charged according to a fixed scale ranging from 300 to 600 Euros, depending on the sale price. This is due on signing of the Title Deeds. Land registry fees can be between 200 and 500 Euros, depending on the amount of work involved at the Registry office. This is to have the Spanish property Deeds inscribed in your name at the Registrar and is due within 30 days of signing the Deeds. Mortgage interest rates are generally much lower in Spain than in the UK, however, set-up charges do tend to be somewhat higher so we recommend you discuss these charges with your bank at the initial stages of mortgage negotiation. Once you have selected a suitable bank, you will need to open an account with them, for which you will need to present your passport. The bank will then need proof of income - usually pay slips from the last 3 months and the latest P60 although some banks also require copies of bank statements from the previous 6 months. If you are self-employed, you will need to provide the last 3 years accounts as well as copies of bank statements - both business and personal. The bank will then be able to give a tentative agreement that you are eligible for a mortgage, although the amount cannot be approved until the bank has seen an official valuation of the property. In order for a Spanish property to be mortgageable, the Title Deeds (Escritura) must be registered so that the bank can obtain a copy of the Nota Simple, a document which states the size and type of property registered and details any debts which may be outstanding on that property. Once the bank have a copy of the Nota Simple, they will arrange for an independent valuer to visit the property and make a detailed valuation report. The cost of a valuation is usually in the region of 300 Euros and this sum will need to be in your account prior to the valuation being released. The bank will then make their mortgage offer based on both the valuation and your income. Most banks offer up to 70% of the independent valuation for non-residents and up to 80% for residents. Almeria property sales are increasingly popular and Almeria Homes are one of the most important estate agencies for the sale of properties in Almeria. 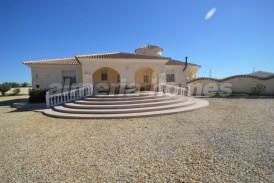 We are now able to offer a full Mortgage package for clients wishing to purchase a property in Almeria. Working in collaboration with Almeria Mortgages we can offer the services of the most prominent banking services in Spain to give you a package tailored to your individual needs. If you are considering the purchase of a new home in Almeria, you need to confide in a company that can offer you a complete package that includes taking care of all the financial arrangements to pay for the property that you have chosen. Almeria Mortgages are brokers that work with a large selection of banks throughout the country to offer you the best deal to suit your needs.